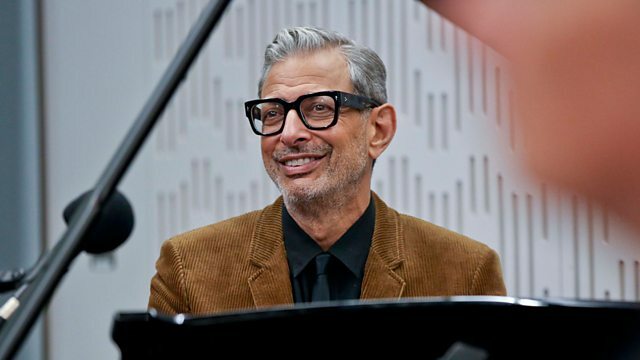 Jeff Goldblum’s album with The Mildred Snitzer Orchestra, 'The Capitol Studios Sessions', is available on Friday 9 November. They play Cadogan Hall on Saturday 17 November and Ronnie Scott’s on Thursday 22 November as part of the EFG London Jazz Festival. 'A Keeper' published by Hodder & Stoughton, is out now. Guys and Dolls is at the Royal Albert Hall, London on Friday 19 and Saturday 20 October. 'Rosemary Shrager’s Cookery Course – 150 Recipes to be a Better Cook' published by BBC Books, is available now.